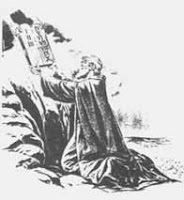 Moses is an example of one who was available to God. Ex. 19:19 reads, "Then Moses spoke and the voice of God answered him. The Lord descended to the top of Mt. Sinai and called Moses to the top of the mountain. So Moses went up and the Lord said. . . ." You see, Moses was available to talk to and hear from God. Moses went up and God came down. Moses didn’t hold back. He made himself available and moved toward God so He could hear from God. You and I must move toward God if we are to hear from Him. We not only make time available but our attitude available. The Bible says in 2 Cor. 10:5 that we should take captive every thought to make it obedient to Christ. As you make your time available to him, also make your mind available to Him.